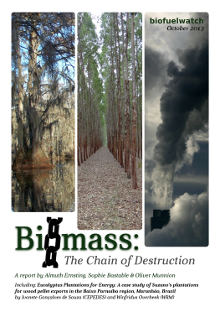 Biofuelwatch has released a new report, Biomass: The Chain of Destruction. It explores the global impacts of the UK’s biomass boom, looking at what the current demand for biomass for electricity, supportive Government policy and resulting speculative investments mean, in terms of forest destruction in the Americas and impacts on communities in the UK. 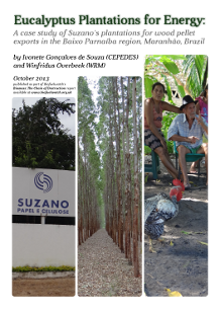 It also includes Eucalyptus Plantations for Energy: A Case Study of Suzano’s plantations for wood pellet exports in the Baixo Parnaíba region, Maranhão, Brazil, the first documented case of a land-grab in Brazil for biomass destined for power stations in the UK. 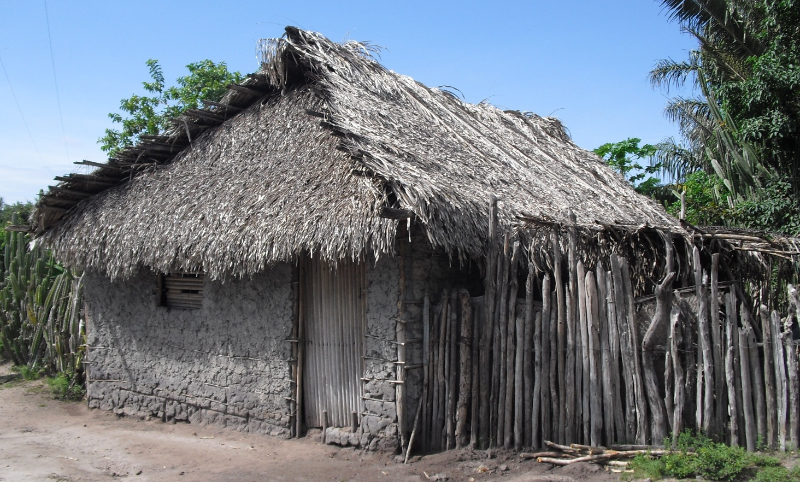 The authors of the Brazilian case study are Ivonete Gonçalves de Souza (CEPEDES) and Winfridus Overbeek (World Rainforest Movement). Click here to see the presentations and videos from the report launch on 20th October. 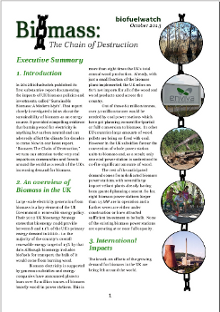 This report was launched at a public meeting, “A Burning Issue: Biomass and its impacts on forests and communities”, with speakers from the World Rainforest Movement, the Dogwood Alliance, Biofuelwatch and the Mossley Environmental Action Group. Presentations and videos taken of the event can be downloaded and viewed here.